If you own a car, you know that routine maintenance is a simple fact. It’s the case with every single vehicle manufactured whether it’s a gas-powered, diesel-powered, hybrid, or electric vehicle. Maintenance is suggested at specific intervals by your car maker based on research that’s been conducted so you can extend the life of components that are vital to your car’s operation or safety. 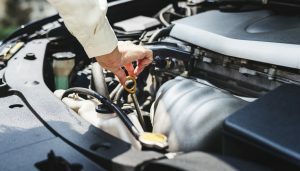 There’s a cost associated with keeping your vehicle operating smoothly and trouble-free, and that’s where many people stumble with their car maintenance. You buy a car for a set price and don’t consider or factor in the costs associated with the maintenance that will need to be performed during the course of your ownership. Just because many car owners don’t factor the cost of maintenance into their purchase decision doesn’t make it any less important. Maintenance truly does save you money in the long run and can save you from costly accidents and can even save lives. Here are some of the most common neglected vehicle maintenance items that likely need your attention. It’s no surprise that an engine oil change is the most neglected maintenance procedure for vehicles. That’s because oil and filter changes need to be done so frequently, right? Wrong! Oil changes used to be required much more frequently by many manufacturers, even as often as every 1,500 miles. Now, some manufacturers claim their vehicles can operate on oil change intervals of 12,000 or more. Why is it, then, that oil changes are considered neglected? It‘s because you still need to check the oil level every fuel fill according to virtually every owner’s manual ever printed. Your engine still uses a little bit of oil, with some manufacturers like BMW considering one quart of oil consumption every 1,000 miles as normal. That means your engine oil level can go low, causing overheating and internal damage due to lack of lubrication well before your car is even due for an oil change. Contrary to popular belief, oil changes are NOT the most frequently required maintenance procedure. That title goes to your tire pressure adjustment. Your tire pressure should be checked and adjusted at least monthly, and more frequently if the weather changes significantly. When the outside temperature rises, the air inside your tires expands and the pressure increases. When the temperature drops, the air contracts and the pressure decreases. It’s simple physics, but add to the mix that even the best-sealed tires will lose minute amounts of air. It’s important to make sure your tire pressures are maintained within 2-3 PSI of their recommended pressure (which you’ll find on the driver’s door pillar placard). 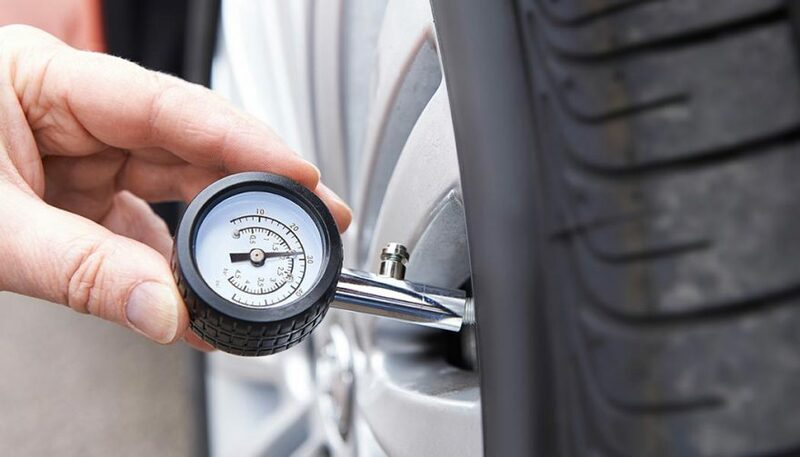 If your tire pressures are just 5 PSI low, you’ll use 2-3 percent more fuel, your stopping distance is increased up to 10 percent, and your traction around corners worsens. Also, while you’re checking your tire pressure, check for wear and tear that can lead to dry rot. Read on if you’re wondering how to prevent tire dry rot. Your transmission is as vital to your car as the engine is, yet when it comes to maintenance, it is far more often neglected. Most people don’t even know how often to change transmission fluid. When you compare the cost of your transmission fluid change to the total cost of oil changes over the same period of time, you’ll find they’re quite comparable, or the transmission services will be even less than engine oil changes. Alas, neglected transmission maintenance costs car owners thousands of dollars needlessly. When the transmission lacks proper lubrication, the internal clutches, bands, and other moving parts overheat and start to slip, or seize up and fail spectacularly. Nearly every transmission failure can be prevented by changing the transmission fluid at its recommended interval, usually every 60,000 miles or so. Most brake systems work primarily on a hydraulic system where brake fluid is put under pressure when you press the pedal to force the calipers to squeeze the brake pads onto the rotors. It just seems like it should be natural that the brake fluid, which is exposed to the heat from friction as well as constant pressure, should be changed regularly. As well, brake fluid is hygroscopic, which means it absorbs water to prevent moisture from corroding the inside of the brake lines, so shouldn’t you change out the fluid every couple years to get rid of that saturated fluid? The short answer is yes. If you decide to keep driving without changing your brake fluid, you can expect that in time you’ll experience brake fade, especially in hot weather. That’s when your brakes require more force to stop your car and take a longer time to get you stopped than normal which is most evident in panic braking. Collisions can be prevented with proper brake fluid maintenance. Do you know if you have a cabin air filter? Most people aren’t aware if their vehicle is even equipped with a filter, or what maintenance it requires. Nearly all vehicles manufactured in the past decade and even many before that have a pollen filter somewhere in the heating and air conditioning ductwork that prevents dust, pollen, and other airborne contaminants from getting inside your vehicle. Naturally, if you’re not aware that your vehicle has a cabin air filter, you don’t know that it needs to be replaced. Most commonly, cabin air filters need to be replaced once a year otherwise the dust and debris that gets caught in the filter will start to restrict the airflow out of your dash vents. Nothing causes a driver to lose their patience more than another motorist who doesn’t use their signals. What if the bulb is burnt out and the motorist is unaware? If you take a closer look, you may find that even your vehicle has a burnt out bulb somewhere. Roughly 1 in 3 vehicles operating in the road have at least one burnt out bulb, whether a headlight, an amber-colored marker bulb, a brake light, or a signal bulb. For just a moment of your time, you can inspect the lights on your vehicle to make sure they are all operational. For just a few dollars, you can replace most any bulb on your vehicle. There’s really no reason not to have all your bulbs working on your car, especially since your lights are integral to preventing collisions and indicating your intent when driving. While recalls aren’t specifically a maintenance item, many motorists neglect the notices they receive in the mail regarding important safety recalls. More than 51 million vehicles in the US currently operate with one or more incomplete recalls. It’s a staggering statistic, and one that can be changed simply by checking your vehicle for recalls at SaferCars.gov. It’s simple: just enter your VIN number to check your vehicle for outstanding recalls. If there are one or more that have not been completed, schedule the repairs at the dealership to have the recalls performed. 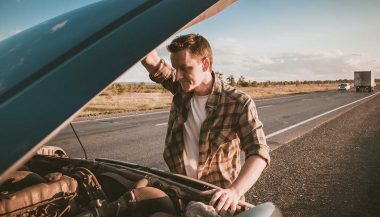 No one likes being stranded, so we're going over some simple and inexpensive things you can do to prevent summer car problems from happening. Your car's air filter is a critical maintenance item but is nonetheless easily overlooked. 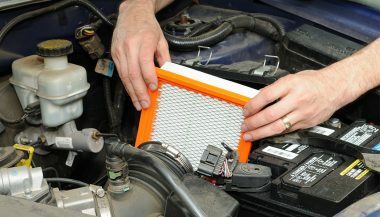 Learn how and why to replace your car or truck's air filter here! 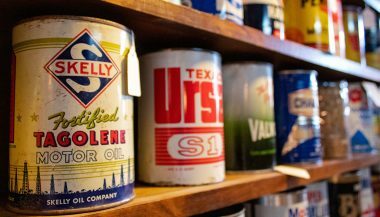 Motor oil does not come with a ‘best if used by’ date printed on the bottle. So can you use that bottle years from now or does motor oil go bad and expire?